A nice cosy cottage with big panoramic windows located near the lake. The place is quite isolated ( car is needed), but this point makes it even better - for those who wants to relax and enjoy the nature. There is everything what you need, well equipped kitchen, electric sauna, bedlinnen, outdoors chairs. 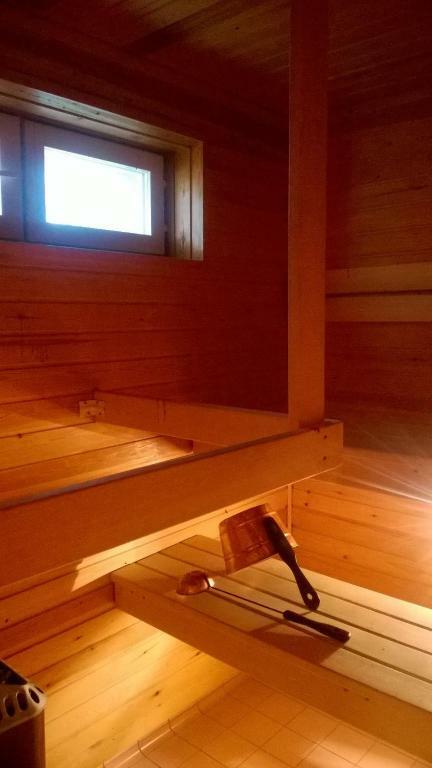 There is another wood burning sauna ( a different building just few meters away, near the lake) with a comfortable sitting room which has got a fireplace. It was an amazing stay there, Host was really humble and welcoming. I would like to go again and again. We had a very warm welcome. Our host showed us everything in and around our place. We could even use the already preheated sauna! What a shame we only had time for one night here. We're hoping we'll make it back here one day. Уют, теплое отношение хозяев, комфортный отдых, необыкновенная дровяная сауна, природа, тишина, чистый воздух, красивое озеро, все на высоте. Огромное спасибо Хелен и Микаель. Приехали очень поздно. Хозяин оставил записку на воротах на русском языке, с информацией где находится наш домик и как его найти. Домик комфорный для 4 человек. Огромная кухня и гостиная, удобные кровати. Спальни изолированы. Были проблемы с интернетом и хозяева раздала интернет. Есть хорошая детская площадка, очень удобно если приезжать на отдых с детьми. Большое спасибо Хелене и Микаэлю!! L'emplacement privilégié près du lac, le grand confort de la maison, le chauffage était en route. La mise à disposition du sauna. La présence de rennes et élans à proximité. De tudo, do apartamento em geral, da vista, do local e principalmente da simpatia dos proprietários. Of everything, the apartment in general, the view, the place and mainly the owners' sympathy. Lock in a great price for Kuusamon Keitaan Helmi – rated 9.4 by recent guests! Kuusamon Keitaan Helmi This rating is a reflection of how the property compares to the industry standard when it comes to price, facilities and services available. It's based on a self-evaluation by the property. Use this rating to help choose your stay! Located in Joutsenniemi in the Oulu region, Kuusamon Keitaan Helmi has a garden. This beachfront property has free WiFi. This vacation home comes with 2 bedrooms, a TV, a dining area, a kitchen with a dishwasher, and a living room. There's a bathroom with a bidet. The vacation home has a grill. 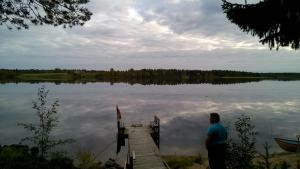 A terrace is available on site and fishing can be enjoyed within close proximity of Kuusamon Keitaan Helmi. Kuusamo is 19 miles from the accommodation. Kuusamo Airport is 23 miles away. This property also has one of the top-rated locations in Joutsenniemi! Guests are happier about it compared to other properties in the area. This property is also rated for the best value in Joutsenniemi! Guests are getting more for their money when compared to other properties in this city. 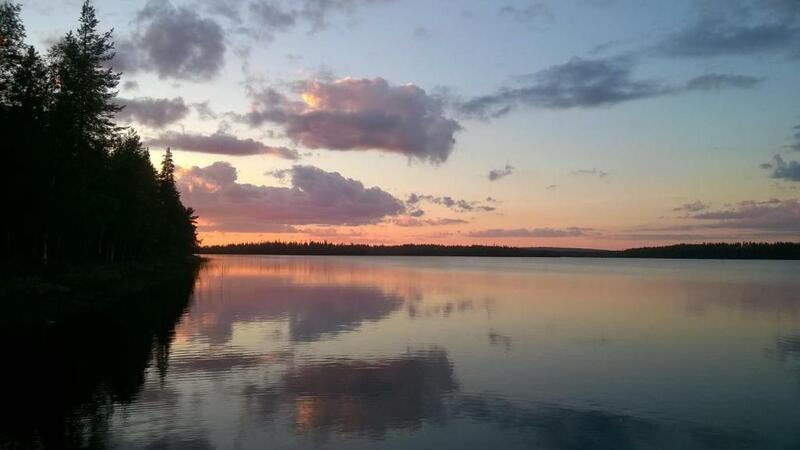 When would you like to stay at Kuusamon Keitaan Helmi? House Rules Kuusamon Keitaan Helmi takes special requests – add in the next step! Please inform Kuusamon Keitaan Helmi of your expected arrival time in advance. You can use the Special Requests box when booking, or contact the property directly using the contact details in your confirmation. it's not what i didn't like, but in case. there aren't 2 bedrooms, just one. Another is some kind of alcove with a curtain. There isn't a fireplace in a cottage.